This salad is a regular at our dinner table in summer. It pairs well with grilled food and picnics. I used about 2lbs of beets. 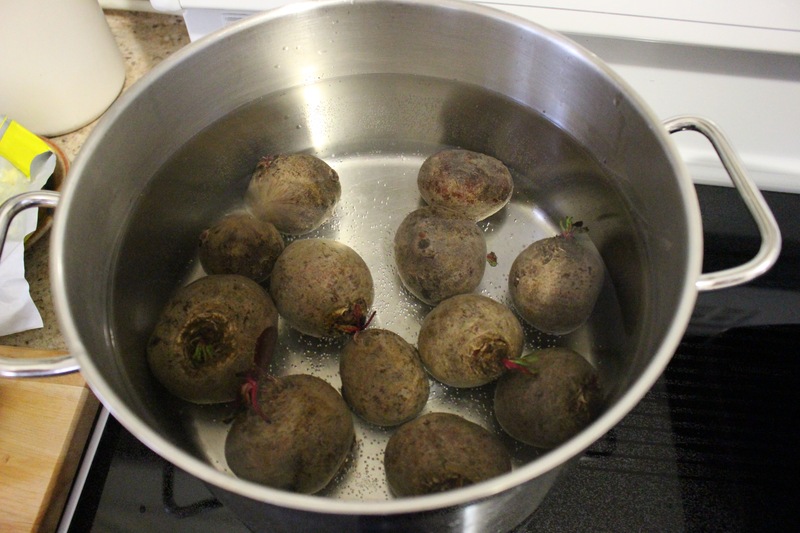 leave a little bit of the root end and stem end attached to the beets, boil them in a large pot of water until a knife can slide easily through the beet, probably takes about 20 minutes depending on the side of the beets, I try to use smallish sized beets. Once cooked drain the beet. Now comes the messy part. 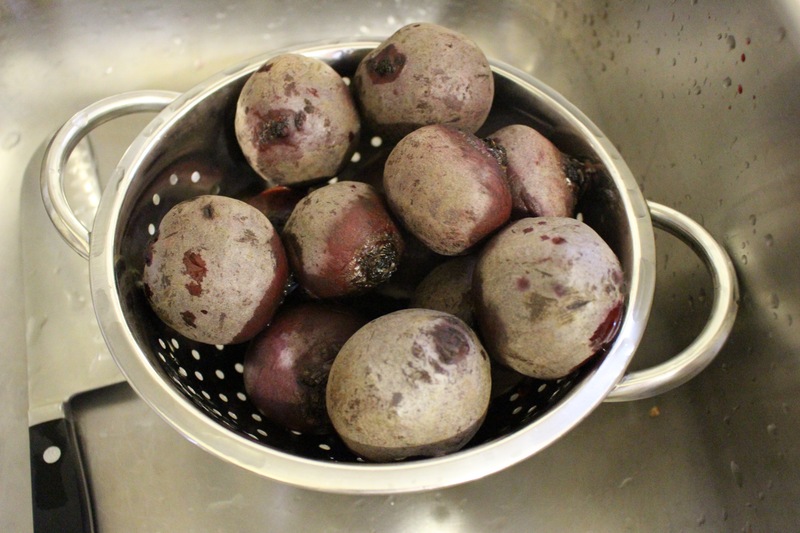 Once the beets are cool enough to handle, cut off the root end and stem end. Then slip off the skins. You will have to use a little bit of force but it should yield pretty easily. The you can cup beet into bite sized chunks. If you want to be little fancier you can slice them. 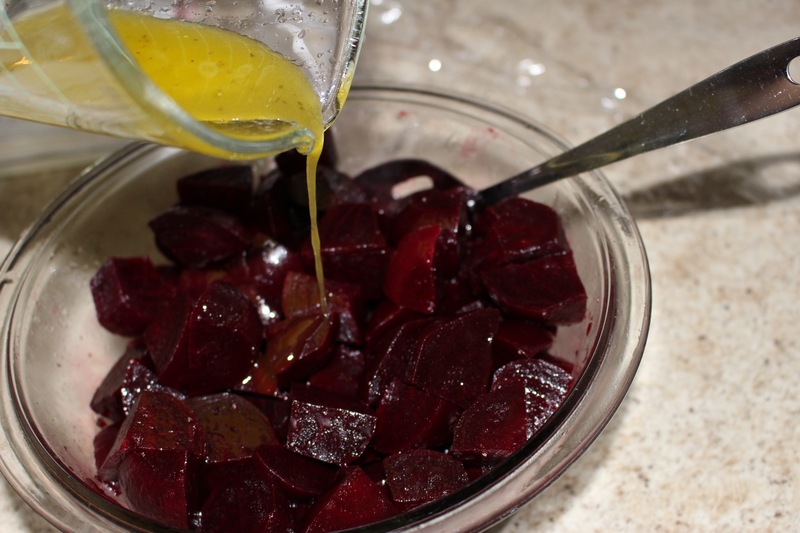 While the beets are chilling make the dressing, whisk together 2 Tbsp olive oil, 4 tsp white wine vinegar, large pinch of salt and pepper to taste and a couple pinches of sugar. 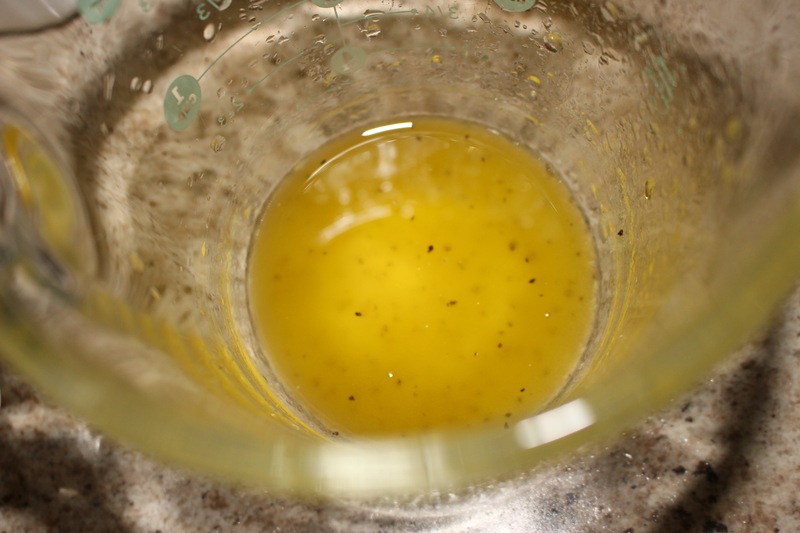 Drizzle with the dressing and toss to coat. 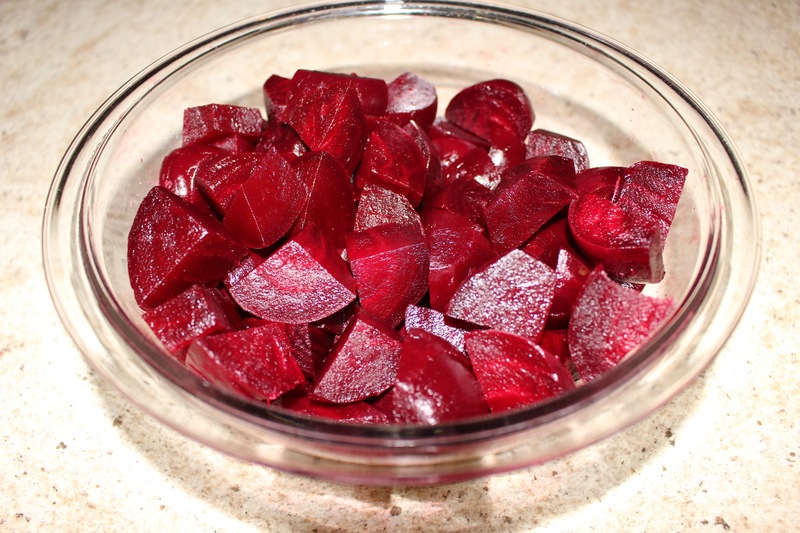 Arrange beets in serving dish. Just before serving (otherwise the feta will turn pink) sprinkle with crumbled feta. Sometimes I also sprinkle with chopped fresh mint. Today I got lazy as I was making several recipes at once, so I didn’t use the mint. 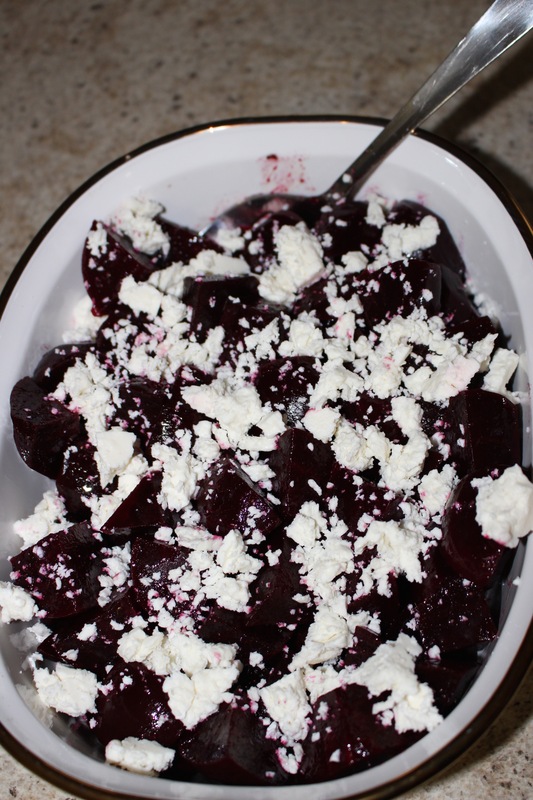 This entry was posted in cooking and tagged beet, beet salad, feta, fresh mint, mint, olive oil, white wine vinegar.